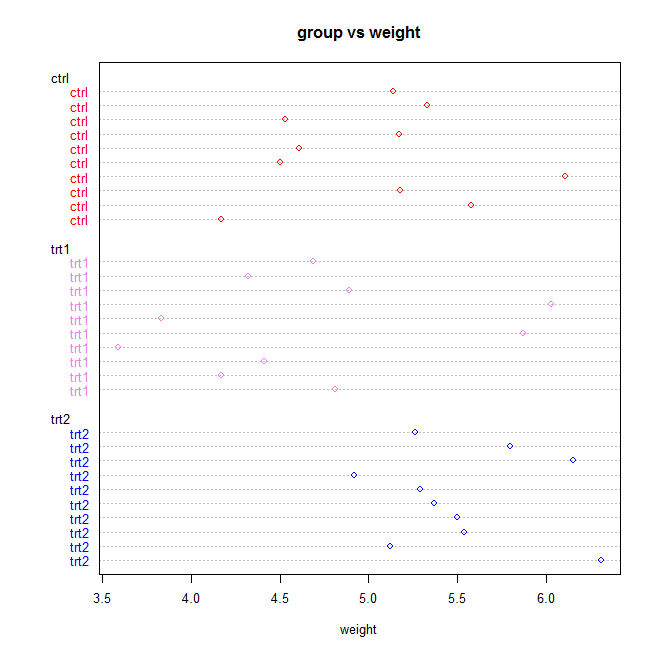 Dot plot in R also known as dot chart is an alternative to bar charts, where the bars are replaced by dots. 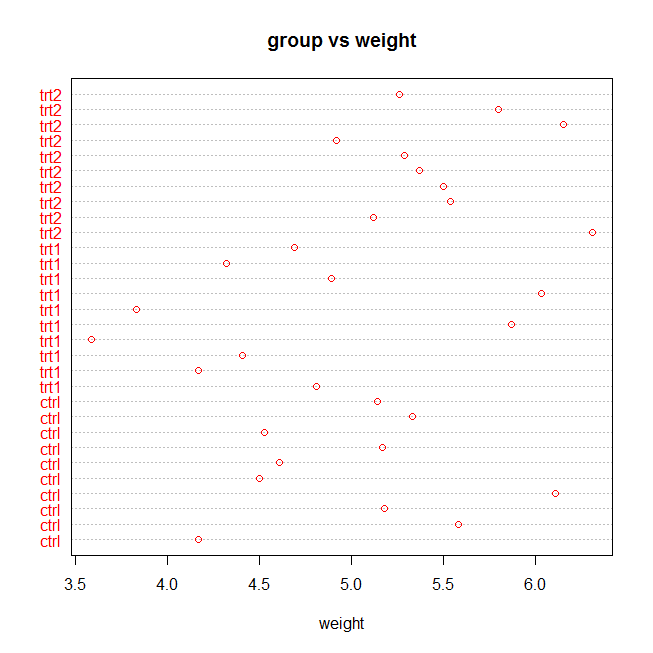 A simple Dot plot in R can be created using dotchart function. labels A vector containing the label names for each plotted value.